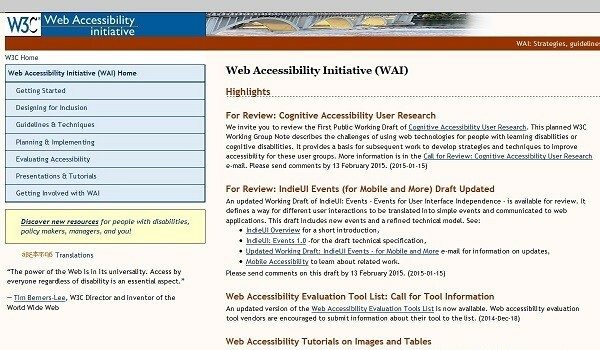 A List Apart article Reframing accessibility for the web says that we need to stop talking about accessibility in terms of ‘people with disabilities’, and start talking about simply ‘people’. While I try to focus on making only web copy as accessible as possible (I’m not a developer or designer), I completely agree. Fulfilling the minimal standards for web content accessibility makes your text more readily available, understandable and usable for everyone, search engines included. It’s not just a case of welcoming all visitors who come to your website; it can help you to actually reach more people too. So what are the few areas that I look at when reviewing copy or writing it? What’s your approach to making sure your website and its content are accessible and readable for everyone?